International Day of the Midwife takes place annually on 5 May. It was first celebrated In 1991, and has since been observed in over 50 nations around the world. The idea of having a day to recognize and honor midwives came out of the 1987 International Confederation of Midwives conference in the Netherlands. In 2014 it was celebrated in Iran and New Zealand among many other places. A midwife is a professional in midwifery, specializing in pregnancy, childbirth, postpartum, women’s sexual and reproductive health (including annual gynecological exams, family planning, menopausal care and others), and newborn care. They are also educated and trained to recognise the variations of normal progress of labor, and how to deal with deviations from normal to discern what, and may intervene in high risk situations, such as breech births, twin births and births where the baby is in a posterior position, using non-invasive techniques. When a pregnant woman requires care beyond the midwife’s scope of practice, they refer women to obstetricians or perinatologists who are medical specialists in complications related to pregnancy and birth, including surgical and instrumental deliveries. In many parts of the world, these professions work in tandem to provide care to childbearing women. In others, only the midwife is available to provide care, and in yet other countries many women elect to utilize obstetricians primarily over midwives. Many developing countries are investing money and training for midwives as these services are needed all over the world. Some primary care services are currently lacking due to the shortage of money being funded for these resources. A study performed by Melissa Cheyney and colleagues followed approximately 17,000 planned home births with the assistance of midwives. 93.6% of these families had a normal physiological birth and only 5% were Cesarean sections. In 2013, the rate of Cesarean sections in hospitals in the United States was 32.7%, which is double the rate that World Health Organization recommends. According to the definition of the International Confederation of Midwives, which has also been adopted by the World Health Organization and the International Federation of Gynecology and Obstetrics, A midwife is a person who has successfully completed a midwifery education programme that is recognised in the country where it is located and that is based on the ICM Essential Competencies for Basic Midwifery Practice. and the framework of the ICM Global Standards for Midwifery Education; who has acquired the requisite qualifications to be registered and/or legally licensed to practice midwifery and use the title ‘midwife’; and who demonstrates competency in the practice of midwifery. The word derives from Old English mid, “with” and wif, “woman”, and thus originally meant “with-woman”, that is, the woman who is with the mother at childbirth. The word is used to refer to both male and female midwives. English Telvision presenter, broadcaster and comedian Michael Palin CBE FRGS was born 5th May 1943. He is Best known for starring in the British Comedy television series MontyPythons Fying circus alongside Graham Chapman , John Cleese, Terry Jones and Eric Idle.The members of Monty Python were all highly educated. 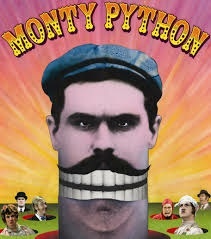 Terry Jones and Michael Palin are Oxford University graduates; Eric Idle, John Cleese, and Graham Chapman attended Cambridge University; and American-born member Terry Gilliam is an Occidental College graduate Before Joining Monty Python. Palin wrote comedic material with Terry Jones on other shows such as the Ken Dodd Show, The Frost Report and Do Not Adjust Your Set. Palin appeared in some of the most famous Python sketches, including “Argument Clinic”, “Dead Parrot”, “The Lumberjack Song”, “The Spanish Inquisition”, and “The Fish-Slapping Dance”. The first episode of Monty Python’s Flying Circus aired on BBC One on the 5th October 1969 and there were 45 Episodes spread over four seasons until December 1974 on BBC Television. The comedy was often pointedly intellectual, with numerous erudite references to philosophers and literary figures. The series followed and elaborated upon the style used by Spike Milligan in his groundbreaking series Q5. The team intended their humour to be impossible to categorise, and succeeded so completely that the adjective “Pythonesque” was invented to define it.The shows were composed of surreality, risqué or innuendo-laden humour, sight gags and observational sketches without punchlines. They also featured Terry Gilliam’s wonderful and imaginatively bizarre animations, often sequenced or merged with live action. Broadcast by the BBC. with 45 episodes airing over four series from 1969 to 1974, The show often targets the idiosyncrasies of British life, especially that of professionals, and is at times politically charged. Over the years many of the sketches have attained classic status including The Lumberjack Song, Ministry of Silly Walks, Upper class twit of the Year, Spam song, The Dead Parrot Sketch and Bicycle Repair Man. Graham Chapman also played the lead roles in two of the Python’s Films – Monty Python and The Holy Grail, Life of Brian. Eric Idle also appeared in the the children’s series Do Not Adjust Your Set, alongside Terry Jones, Michael Palin and Terry Gilliam’s surreal animations which linked the show’s sketches together, and defined Monty Python’s visual language in other media (such as LP and book covers, and the title sequences of their films).